Detail of the Muses from a painting depicting the mythical poets Thamyris and Musaeus beng instructed by the god Apollo. 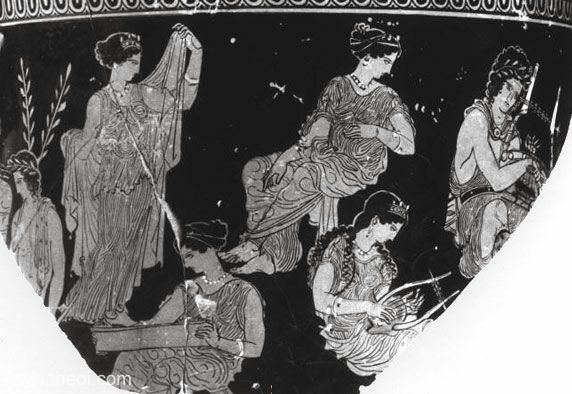 Calliope stands to the left with a raised veil, Sophia is seated with a box, Polyhymnia plays a lyre, and Urania gazes at the god. The names of all the figures are inscribed on the vase.